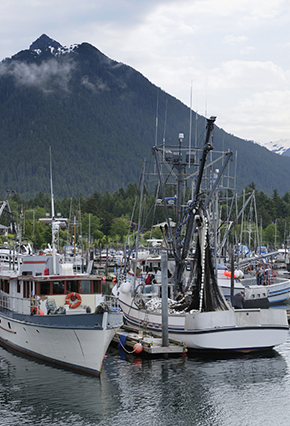 Van Ness Feldman serves as trusted advisors to nearly all sectors of the commercial fishing industry including commercial fishing and fish processing companies, commercial fishing associations and coalitions, and Native Alaskan Enterprises. Drawing upon multi-disciplinary experience, the firm provides vital legal and political counsel for clients navigating through some of today’s most complex, precedent-setting and controversial fisheries management issues including the American Fisheries Act and Magnuson-Stevens Act implementation and compliance; fishery management council proceedings; limited entry permits and individual fishing quota issues; commercial transactions, and the formation and management of fishing co-operatives; regulatory compliance, enforcement proceedings and litigation; advice on the design and development of legislative strategies; and regulatory accounting and financial reporting. Many of the firm’s attorneys participated in the creation or revision of some of the most important federal laws impacting the industry, including the Magnuson-Stevens Act; the American Fisheries Act; the Clean Water Act; the Endangered Species Act; and the National Environmental Policy Act, which allows the firm to provide clients effective strategies for working with the Executive Branch, Congress, regional fishery management councils, state and local governments, citizen groups, the environmental community and other stakeholders. Providing broad perspectives on these complex issues, Van Ness Feldman attorneys understand how to efficiently manage the federal and state regulatory and compliance issues associated with fishing operations. Van Ness Feldman has an intimate understanding the Magnuson-Stevens Act and the unique rulemaking processes for issues that affect the commercial fishing industry. The firm’s attorneys are highly experienced in working with regional fishery management councils and NOAA Fisheries and know how to navigate the council process by working closely with council members and their staff, agency representatives, and other stakeholders. Van Ness Feldman’s attorneys have extensive experience in administering and managing compliance with NEPA through decades of service as advisors to industrial and manufacturing companies, as counsel to major industry associations, and through direct service as high-level officials in Congress and the Executive Branch. The firm’s attorneys possess the requisite knowledge to successfully prepare and develop environmental documents and compliance materials to support projects and agency actions that expedite, sanction, or approve the commercial fishing activities. Read more about the firm's NEPA practice here. Van Ness Feldman represents client interests in every venue in which ESA issues arise, including federal and state regulatory agencies, legislative and policy arenas, and federal courts. The firm assists clients with ESA issues related to high profile species - such as Pacific and Atlantic salmon runs - and lower profile species. Read more about the firm's Endangered Species practice here. Van Ness Feldman attorneys represent clients in a variety of disputes involving commercial fishing industry issues, including litigation addressing NOAA Fisheries’ rulemaking and enforcement actions. The firm works with clients to define points around which consensus can be built and move forward in as collaborative a process as possible. However, conflict sometimes is unavoidable, and when litigation is required, Van Ness Feldman litigates vigorously and effectively. Read more about the firm's Litigation services. Van Ness Feldman advocates the interests of the commercial fishing industry before Congress, the Executive Branch, regional fishery management councils, and state and local governments. Having worked for decades in both the public and private sectors to create, influence, shape, implement, and comply with all of the commercial fishing-related laws, the firm’s lobbyists and attorneys have developed an in-depth understanding of the nuances of policymaking in both Congress and the Executive Branch and are well-equipped to effectively advocate commercial fishing industry interests before those bodies.